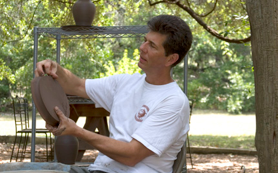 This is also a chance to see the Briegers’ unique Hill Country home, which they built using slip-forms, local stone and recycled materials. (Click here for more details). This labor of love took them 2 1/2 years to construct and many more to finish. Collecting and laying all of the stone, they were able to build a beautiful and durable home, which fits into the Hill Country landscape, much like the early German stone structures seen in the area. Jan and Jon, along with the Hodgsons, are available both days to answer questions and show visitors around. 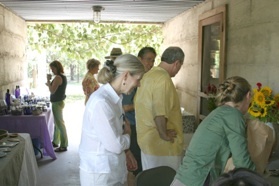 Tasha Brieger will offer a selection of Hill Country Lavender products. Snacks and refreshments, including beer and wine, will be served. 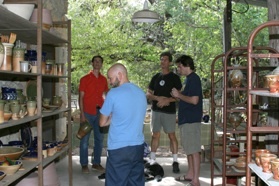 Time permitting, Jon and/or Michael will demonstrate throwing pots on the wheel under the shady live oak trees.